this is the same thing maybe but the .exe is shady. Xigmatek's mods(youtube his name to see them). Very little documentation so you probably won't know what any of this is. To get an idea I often open the .pak files with 7zip and see what weapons they adjust. 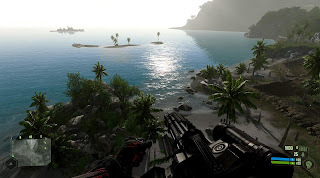 Crysis mods overwrite each other so you can only have one of each edit typically unless you merge them or they don't conflict.